AN EXCITING plan to extend St Bees Head Heritage Coast has been approved by Copeland Borough Council. At yesterday’s (Tuesday) Full Council meeting Copeland Councillors agreed unanimously on a proposal to extend the current heritage coastline which will support the tourism offer in the borough. 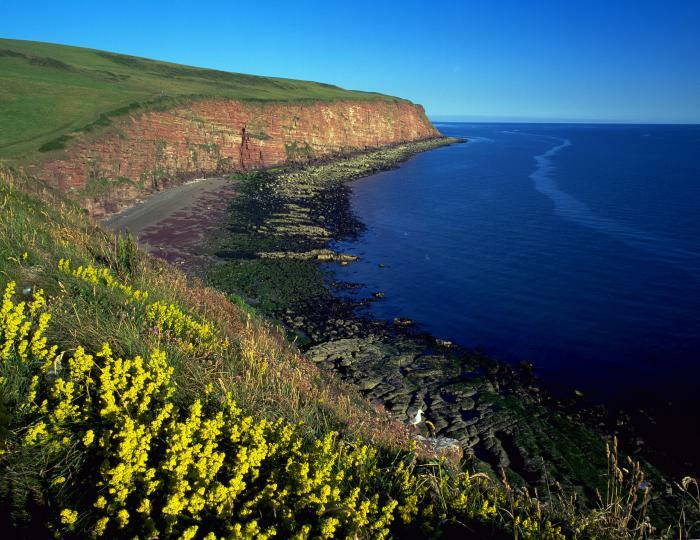 St Bees Head is the only Heritage Coast between Wales and Scotland, and the only area of high sea cliffs in the north-west. The defined area for the current St Bees Head Heritage Coast includes St Bees Head. The proposal will extend the defined area northwards towards Whitehaven and will be named St Bees and Whitehaven Heritage Coast. This will link both the natural beauty of the scenic landscape together with the cultural elements of the coastline, including features such as Saltom Pit and the former Haig Colliery. The stretch is also a Site of Special Scientific Interest. Helps conserve and protect the natural beauty of the coastline. Brings a wider recognition of the quality of the area and encourages the public to visit, enjoy and appreciate the coast. Also increases tourism opportunities. Generates opportunities for grant funding which would contribute towards further enhancement and ongoing management of the area. Protection through the planning system. Local Authorities should ‘maintain the character of the undeveloped coast, protecting and enhancing its distinctive landscapes.’ This can also ensure that development is of a higher quality. A consultation was held earlier this year to gather the views of consultees including members of the public, landowners and land managers. “We had an extremely positive response to the consultation with people in favour of the proposal. “There were no objections received from any of the consultees and in fact, some of our respondents requested that more areas should be included, but unfortunately no additional areas met the criteria. Copeland Council will now be submitting the proposed extension to Natural England who will work with the Council to draw up a partnership agreement to adopt the new extended St Bees and Whitehaven Heritage Coast.